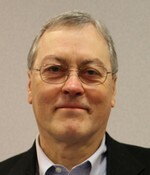 Dr. Barwis retired in 2003 after 25 years with the Royal Dutch/Shell Group. His career comprised a wide range of technical and leadership positions, including stints as a Chief Geologist, Exploration Manager, and Manager of Geological Research, as well as Technical Director and Member of the Board of Shell U.K. While serving as an officer in the U.S. Army Corps of Engineers he conducted research in sedimentology and hydrodynamics at the Hydraulics Laboratory of the U.S. Waterways Experiment Station. Prior to military service he managed an Arctic drifting station owned by the Office of Naval Research, spending more than 15 months on the north polar ice pack. He has contributed more than 50 articles and government publications to the geological literature in coastal geomorphology and hydrodynamics, sedimentology, stratigraphy, as well as petroleum exploration and production. He holds BA, MA and PhD degrees in geology.Dr. Barwis has been a stamp collector for 59 years, most recently specializing in the classic issues of the United States, the first issues of Victoria, Australia, and the postal history of Philadelphia. His exhibits have won national and international gold medals, as well as grand awards in the United States and Great Britain. He is a Fellow of the Royal Philatelic Society London and President of the U.S. Philatelic Classics Society. He serves on the Long Range Planning Committee of the American Philatelic Society, and is a member of many philatelic organizations. His publications include contributions to the American Philatelic Congress Book, The Chronicle, and The Collectors Club Philatelist. His most recent publication on the first issues of Victoria won large gold and the grand award for literature at the New Zealand national exhibition, as well as gold medals at the national exhibition in Melbourne and Stampshow in Pittsburgh. John won the Champion of Champions competition in Pittsburgh, Columbus, OH in August 2011.